For years, this Veggie Stuff page had numerous links to all sorts of resources for a vegetarian, newbie or not. I planned to redesign the page but still keep all the links, but decided on this. I think this graphic says it all. 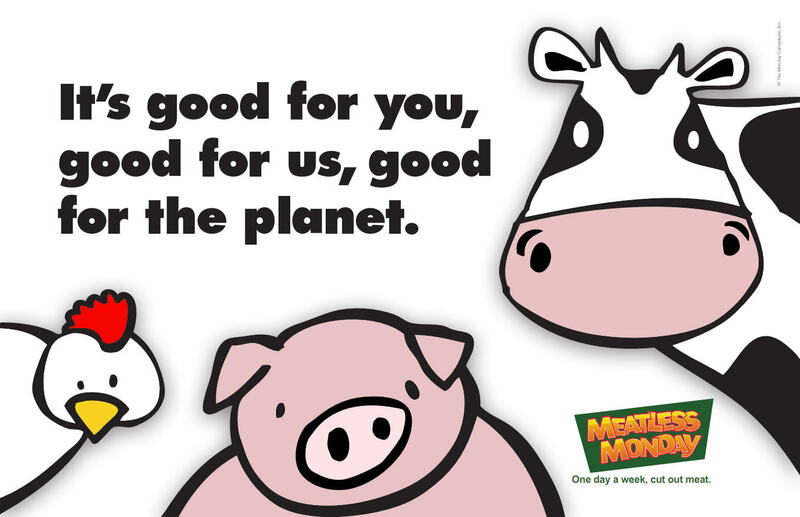 Could you please consider one meatless day a week? If you're already a vegetarian, could you consider one vegan day a week?